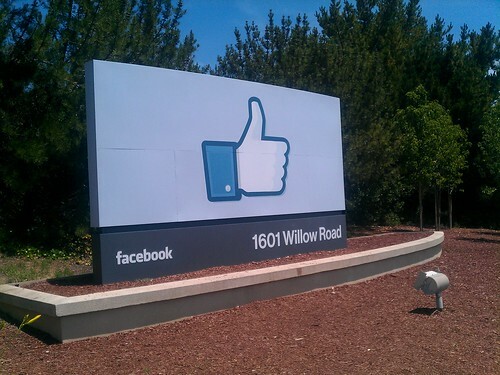 Facebook has been getting a thumbs-down for a number of its past practices, revealed by emails. CC-licensed photo by Kelly Gardner on Flickr. A selection of 12 links for you. Could be five, could be more. I’m @charlesarthur on Twitter. Observations and links welcome. A spokesman for Canada’s justice department said Meng Wanzhou was arrested in Vancouver on Dec. 1 and is sought for extradition by the US. A bail hearing has been tentatively scheduled for Friday, according to the spokesman. Ms. Meng, the daughter of Huawei’s founder, Ren Zhengfei, serves as the company’s CFO and deputy chairwoman. BT will strip Huawei equipment out of its core 4G network within two years to bring its mobile phone business in line with an internal policy to keep the Chinese company’s equipment at the periphery of telecoms infrastructure. Governments around the world have become increasingly wary of Huawei’s presence in critical national telecoms infrastructure, especially as they prepare for auctions for 5G, a superfast service that will enable a new generation of digital products and services. The US, Australia and New Zealand have moved to block the use of the Chinese company’s 5G equipment on security grounds, and the head of the UK’s secret service has warned that the UK must decide whether to follow suit. First the US blocks Huawei from selling handsets on AT&T, now BT is pushing it out of the EE network (which it bought in 2016). This isn’t so much BT reversing anything, as implementing a policy it’s always had. Facebook used the mountains of data it collected on users to favour certain partners and punish rivals, giving companies such as Airbnb and Netflix special access to its platform while cutting off others that it perceived as threats. In March, many Android users were shocked to discover that Facebook had been collecting a record of their call and SMS history, as revealed by the company’s data download tool. Now, internal emails released by the UK Parliament show how the decision was made internally. According to the emails, developers knew the data was sensitive, but they still pushed to collect it as a way of expanding Facebook’s reach. And then Facebook denied up and down it had done this. This is what growth hacking does: it kills moral judgement. This, after it killed off apps like Vine and so on. People are “hoping for a Sundar or Dara moment,” one former senior Facebook employee told BuzzFeed News, referring to past leadership changes at Google and Uber in which founding employees stepped aside from top jobs. A second senior employee echoed the view, suggesting that some inside the ranks are looking for a shakeup to come from the outside. What I miss about my “90s internet” wasn’t it specifically, with its slow data links, tiny JPEGs, buffering RealPlayer, or the tag. It did not the tiniest fraction of the wonderful content the internet has today. What I miss is that I could “go on the internet” and be in a creative corner of the human experience. Today if you “go on the internet”, that means you pulled your phone out of your pocket, dismissed some notification spam and start reading click-bait shared by people you have met on social media. I wish the internet of creative people and their works had a front page and a search engine. Something that made finding the blog about the search for planet 9 easy to find, and the New Yorker article on it hard to find. A place where wikipedia articles came first, where all the interesting technical stuff you might find in whitequark’s feed was what you got instead of sidebar ads, not buried away behind the popular and the profitable. Where a D&D podcast made by three brothers and their dad in West Virginia was as easy to find as the podcasts produced by NPR’s $200m/year machine. The context: Uber just announced a $1bn loss for the quarter. Never mind, they’ll make it up in volume. California’s 2018 fire season, including the largest fire in state history, released nearly as much climate-warming and air-polluting emissions as a year’s worth of electricity use there. The wildfires released 68 million tons of carbon dioxide in 2018, according to the US Geological Survey, or 15% of the state’s total emissions. For comparison, all electricity use in California in 2016 produced roughly 76 million tons in emissions. Those figures were the highlights of a Nov. 30 statement from the Interior Department that blamed the wildfires largely on forest-management practices. This is a bad take (and to be clear, the source of the badness is the DOI): the “emissions” from burning short-lived plants are completely unlike those from burning gas (a fossil fuel), which is half of California’s generation) or coal (a fossil fuel). Short-lived plants weren’t buried underground for millions of years; they’re carbon-neutral, viewed over the lifespan of most people. It’s clueless of the DOI to put out this statement, but clueless too of publications to repeat it without pointing out how wrong it is. At 65% of the user base, men outnumber women almost 2 to 1 as the biggest online daters. Most growth in the online dating market seems to be coming from location-based dating apps, like Happn and Badoo, which have crept up slowly from 7% monthly usage to 13% in the past three years. On the other hand, paid-for online dating services have flatlined, as illustrated in our latest infographic taking an in-depth look at the global online dating landscape. Acceptance and adoption aren’t universal though. 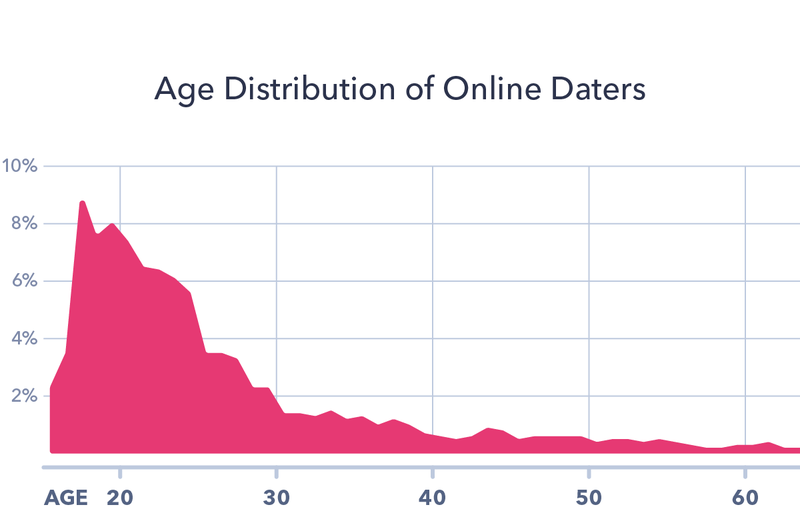 As expected, younger people make up the majority of online daters: 75% of online daters are under the age of 30, and 90% are under 40. Among singles who use the internet, online dating peaks at the age of 25. This audience is truly global too, especially throughout emerging markets. Populations in these markets are generally younger, but the greater popularity holds up even after taking age differences into account. This means dating apps face larger implicit competition from other sources of socializing – dating-led or not. But it also reveals the potential to integrate with social media platforms, which we’ve already seen with Facebook announcing it was trialling a dating app. This has been a landmark year for Tom Cruise. In Mission: Impossible – Fallout he made the action film of his career. He’s currently filming a sequel to one of his most beloved films, Top Gun. And it’s been rumoured that he has plans to make history by literally filming Mission: Impossible 7 in space. How on earth could Tom Cruise manage to top all this? Simple. He’s made a video urging you to switch off motion smoothing on your TV. For this, he deserves everything. Welcome back, Tom. We’ve missed you. …you’d better believe that, if Tom Cruise wants you to turn off motion smoothing on your television, you will turn off motion smoothing on your television. This video is just the start. The next stage will be visiting your house personally and asking you nicely. After that he’ll visit your house and verbally threaten you. If you still haven’t switched off motion smoothing by then, Tom Cruise will force himself through your TV screen using willpower alone, like the girl from The Ring, grab the remote out of your dumb cow hands and turn off motion smoothing himself. He will do whatever it takes. Come on, I mean, just for the headline alone. Well, at least it gives you something to talk about at parties. – people like Trumpsters want walls and moats. Do we want to be Trumpsters, even just in the business sense ? But, in the case of Uber, I’m really wondering what kind of lock-in they have at all. Both customers and drivers are one app away from transparently switching to another platform, and some are already doing just that. I don’t see anything preventing a quasi-instant MySpace-like demise, actually it could be even faster since there’s no contributed content and social network to slow down an exodus.